This is a one-of-a-kind, painstakingly handcrafted full PC suite by the renowned Retro-Victorian / Steampunk builder, Richard R. Nagy aka “Datamancer” of www.datamancer.com, easily the most intricate, time-consuming, and original design to come from his workshop to date. This computer is built as an homage to the brass computational machines made by Charles Babbage in the mid 1800’s. His “Computational Engine” and “Analytical Engine” were giant, mechanical calculators and can arguably be called the first “computers” ever, as they were programmable and contained the first examples of a lot of the programming functions used by computers today. There are a lot of details in this piece of art, so read carefully. The most striking feature of the PC case is the cosmetic display of gears, cogs, cams, and levers in the front of the machine. The rear wall of the display is polished brass, which casts a reflection making it appear as though the entire PC case is full of nothing but brass machinery. There are custom beveled-glass windows in the side though, which you can use to see your hardware, should you want to show it off. The PC case is designed around the “ATX format” of PC hardware, which is the format all PC parts obey, so this machine can be upgraded for years and years with new computer parts. This was a slow build, so we intentionally left the case empty of PC hardware until now, so that upon purchase we can install the latest equipment inside rather than letting the hardware age, which is why there are no specs listed. The included machine will be “gaming level” at the very least. Please contact us if you have specific hardware requests. The 20″ LCD features a brass border with custom engraved acanthus-leaf details which match the acanthus-leaf designs on the keyboard. The LCD case has a hand-carved double swan’s neck pediment across the top, with a brass finial in the center. On the sides of the LCD case are custom-made, tombstone-shaped beveled-glass windows through which you can see a vintage film projector with custom-made spinning brass film reels, which is pointing into a sort of light projection box with metal accents. Inside this light box is a small LED light source with a custom-designed strobe light circuit which flickers and flashes, giving the impression that the projector is displaying images directly to the rear of the LCD screen. The projector can be controlled through a small switch on the top of the LCD. It is a very impressive display and always draws a gasp and a cheer when shown to people for the first time. The LCD case also has small sconces on either side, which are linked to a dimmer switch on the top of the case, lending a rich, golden glow to any room. The rear panel of the LCD is removable for servicing and cleaning, and comes off with a quick tug on the supplied brass handles. On the top of the LCD case is a cast brass vent cover. The mouse is made from an old morse code telegraph “clacker”. The mouse pad is a custom-built pad with a gold foil map under glass. The table is scratch-built and covered in black leather vinyl with approximately a zillion brass rivets. The table legs are cast-iron legs from an old Singer sewing machine and are built on hinges so they can fold up inside the table for ease of shipping and transport through doorways and such. There is a surge protector built onto the rear of the table as well. On the front of the table is a cushioned, burgundy wrist pad, help up by black, wrought-iron supports. In case you need to see if it will fit in your home, the table measures approximately 6′ x 3.5′ deep and the entire PC suite stands about 5.5′ tall. The speakers are authentic Atwater-Kent radio speakers into which have been install a set of modern PC speakers, with vintage knobs for power and volume, and a jewel lens for the power LED. The sound is very directional, but definitely fills up a room nicely. Included are the Crosley Radio “Eiffel Tower” phone and the picture frame, both of which feature a similar floral motif to the acanthus engravings and the floral metalwork on the sconces. Not included in this auction, but we do have a French Captain’s Chair that matches this computer available and we could discuss including it as an add-on, though we would need a bit of time to finish reupholstering it. The chair is a red mahogany stain and the cushions would be the same black leather vinyl that is seen on the table top. Interested ? Auction has 8 days remaining from the date of this post. More and much clearer photos at the link. 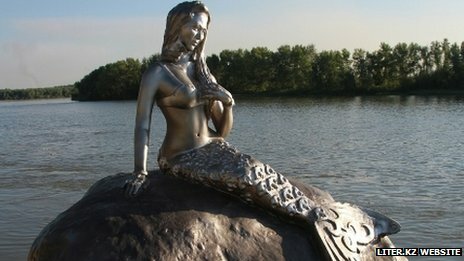 A newly-unveiled statue of a mermaid in Kazakhstan has apparently become a victim of her own popularity. Even though it’s made of fibre-reinforced concrete, the statue in the northern Kazakh city of Pavlodar has been taken down for repairs after only two weeks on display, having suffered a broken finger and a damaged tail, after falling victim to “too much pressure” from adoring fans who like touching her. She was particularly popular with newly-weds who insisted on having themselves photographed in front of the statue. 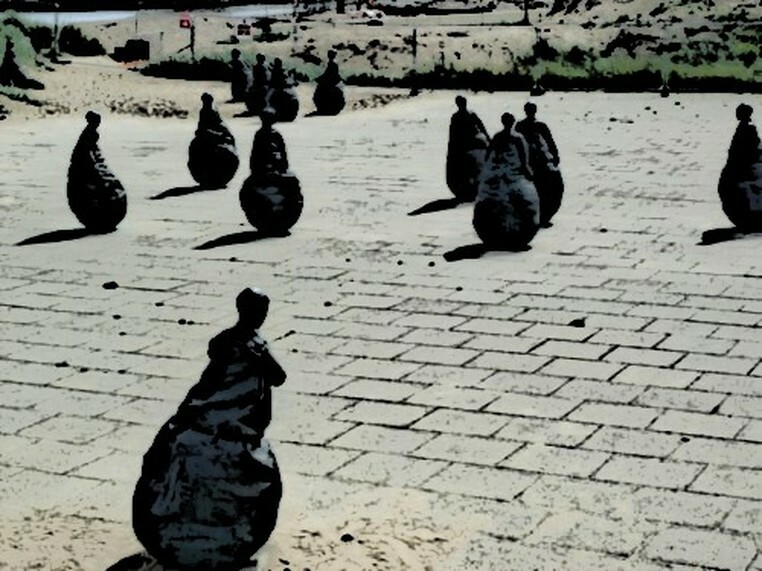 Local fishermen have been upset by the statue’s removal. 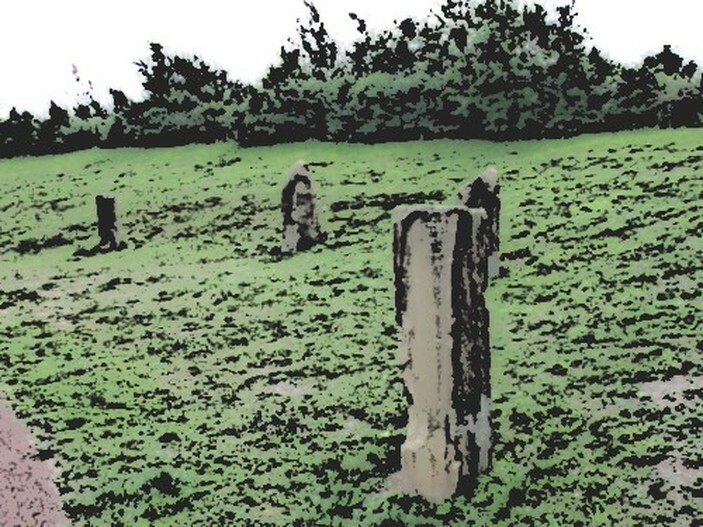 They believe that the mermaid “mystically attracted” shoals of fish. Even though the Kazakh mermaid bears a resemblance to her more famous sister in Copenhagen, there are differences – she has Asian features, her tail is adorned with a traditional Kazakh pattern and she wears a bra. 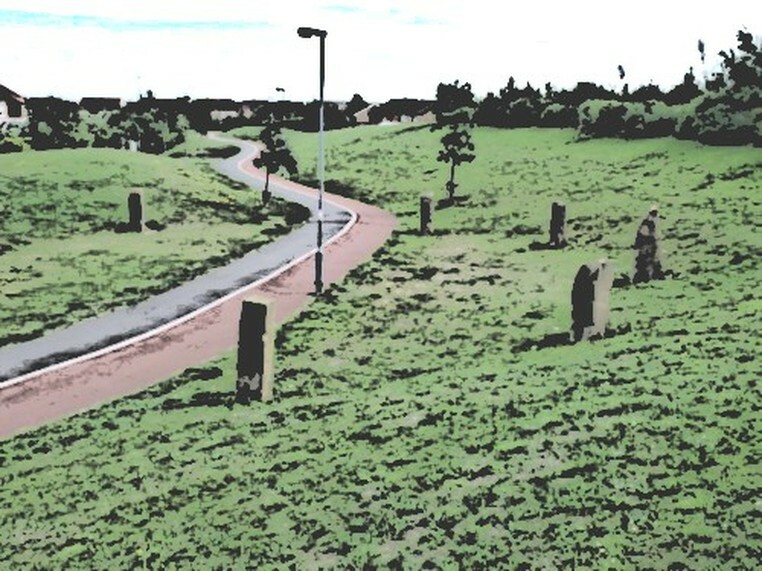 This rather nice modern circle of eight monoliths straddles a pedestrian / cycle path on a new housing estate at Seaham, County Durham. Are they any the less for the fact that they weren’t erected thousands of years ago ?